Valenciennes, Musée des beaux-arts, inv. 364. Valenciennes, collection of Monsieur Bertin (pharmacist and great-grandson of Antoine Pater); donated by him in 1873 to the Musée des beaux-arts of Valenciennes. Paris, Orangerie, Musées de province (1931), cat. 80 (Watteau, Portrait d’Antoine Pater, lent by Musée de Valenciennes). Brussels, Exposition Universelle (1935), cat. 977 (Watteau, Portrait d’Antoine Pater, lent by Musée de Valenciennes). Paris, Palais national, Chefs-d’oeuvre (1937), cat. 236 (Watteau, Portrait d’Antoine Pater, lent by Valenciennes, Musée). Paris, Orangerie, Le Portrait français (1957), cat. 92 (Watteau, Portrait d’Antoine Pater, lent by Musée de Valenciennes). Cellier, A. Watteau (1867), 27. Goncourt, Catalogue raisonné (1875), 27-28. Gonse, Musées, Peinture (1901), 1: 331; 2: 178. Zimmerman, Watteau (1912), no. 100. Hénault, “Watteau et Pater” (1913), 139, 144. Jamot, “Watteau portraitiste” (1921), 262-64, 275-78. Poncheville, “Watteau à Valenciennes” (1921), 282. Réau, “Watteau” (1928), cat. 188. Ingersoll-Smouse, Pater (1928), under cat. 555. Valenciennes, Musée, Catalogue illustré (1931), 129. Jamot, “Le portrait de Pater” (1931), 81-82. Adhémar, Watteau (1950), cat. 149. Mathey, Watteau, peintures réapparues (1959), 51-52, no. 139. Macchia and Montagni, L’opera completa di Watteau (1968), cat. 148. Ferré, Watteau (1972), cat. B79. Posner, “Un Chef d’oeuvre de Watteau” (1977), 81-82. Washington, Paris, Berlin, Watteau 1684-1721 (1984), under cat. 67. Valenciennes, Musée, Guide des collections (1998), cat. 56. Temperini, Watteau (2002), cat. 66. Glorieux, Watteau (2011), 184, 314. 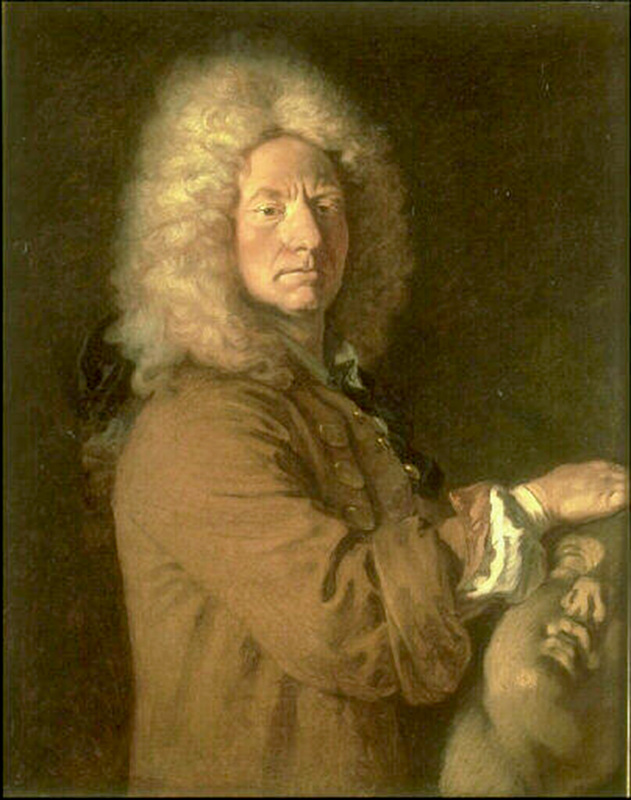 Anonymous French artist, Portrait of Antoine Pater, c. 1710-25. Jacques François Joseph Saly, Portrait of Antoine Pater, 1738. Valenciennes, Musée des beaux arts. 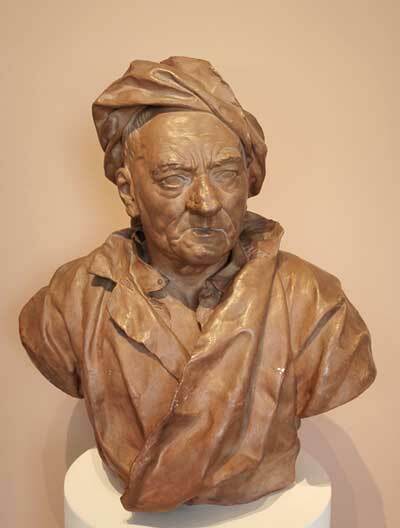 This portrait of the Valenciennes sculptor Antoine Joseph Pater (1670-1747) poses fascinating problems. The sculptor’s son, Jean-Baptiste, was Watteau’s pupil, and thus this portrait has special significance for Watteau’s life and, as well, for the artistic community of Valenciennes. There is little doubt that this portrait depicts the sculptor. His facial features—his large nose and deep wrinkles—correspond closely with those seen in the bust of him executed in 1738 by Jacques François Joseph Saly (1670-1747), a fellow sculptor from Valenciennes. Saly made the bust when Pater was sixty-eight years old. The canvas must have been painted a decade or two earlier, in the 1710s or ‘20s, when the Valenciennes sculptor was in his forties or fifties. Foremost is the question of the painting’s authorship. The work remained with the Pater family until it was donated to the Valenciennes museum, and at that time family tradition maintained that it had been painted by Watteau. When it first attracted public attention, there seemed to be little reason to doubt its authorship. Nonetheless, Edmond de Goncourt wrote that he had little confidence in the attribution. Over the last century critics have waivered back and forth on the issue, but an increasing number have doubted the old attribution. At first, Gonse rejected it but a few years later accepted it. Adhémar included it in her catalogue of Watteau’s oeuvre but noted that the attribution had been questioned, that Jules Strauss thought it was by Pesne, and that she thought it was by Vivien. Yet a few years later, in 1957, she turned about face and assigned it to Watteau. Ferré, quoting Saint-Paulien, called it a mediocre portrait and gave it to Pater. Posner, recognizing the many differences in style between the portrait and Watteau’s accepted works but, daunted by the Pater family’s attribution to Watteau, included the painting while questioning its attribution. Yet Posner concluded that the portrait was Watteau’s experiment in the manner of Largillière. Significantly, the painting was not selected for the 1984 Watteau tercentenary exhibition because Rosenberg expressed doubts about its paternity: “we belong to that minority who cannot see the hand of Watteau there.” Temperini accepted it, and Glorieux, while recognizing the problematic nature of the attribution, nonetheless opined that Watteau probably painted it. As is evident, critical opinion about the attribution has remained divided, but with a significant number rejecting the portrait. There are great difficulties in relating this portrait to Watteau’s oeuvre. No one has argued that it was painted in Valenciennes before Watteau’s departed in 1702. On the other hand, some critics have proposed that it was painted when Watteau briefly returned to his natal city (previously thought in 1709 but which we now know to have been in 1710). If it was painted c. 1710, then there should be a resemblance to his works of this period such as Les Jaloux of 1712, and his early military subjects such as Recrues allant joindre le regiment. Yet no such relation is apparent between those scrawny figures and the monumentality of the portrait of Pater. It seems unlikely that Antoine Pater would have posed for Watteau in Paris between 1710 and 1720, especially because Watteau had not been kind to his son during his apprenticeship. If one were to theorize that the portrait was painted at the end of Watteau’s life, c. 1720-21 when he returned from England and recalled the young Pater, what could the portrait be compared with? While comparable in scale to the great Gilles in the Louvre, its painting technique is quite different. Watteau’s painting has a suavity of color and brushwork that bespeak the eighteenth century whereas the portrait of Pater seems tied to the seventeenth century in its dark sobriety of color and mien. If the sleeve displays bravura of a charged brush, the remainder of the surface seems dull. Could the painting have been painted in Valenciennes by an older artist or someone trained in an older manner? Certain scholars have even wondered if it might not be a self-portrait by Pater. Were it not for the Pater family’s belief that it was painted by Watteau, would his name have ever been proposed for this portrait?